The Planet Wilson full back catalogue digital release. The Planet Wilson’s full back catalogue is released for digital download in 2019. The indie band was formed in Hull in 1985 by two former Red Guitars, Hallam Lewis (guitar and vocals) and Lou Duffy-Howard (bass) joined by drummer Grant Ardis. Described by Sounds’ David Cavanagh as ‘Crazy James Chance meets Holger Czukay’ they released two acclaimed albums in the late 1980s. Their 1988 album ‘In the Best of All Possible Worlds’ was produced by Steve Nye. 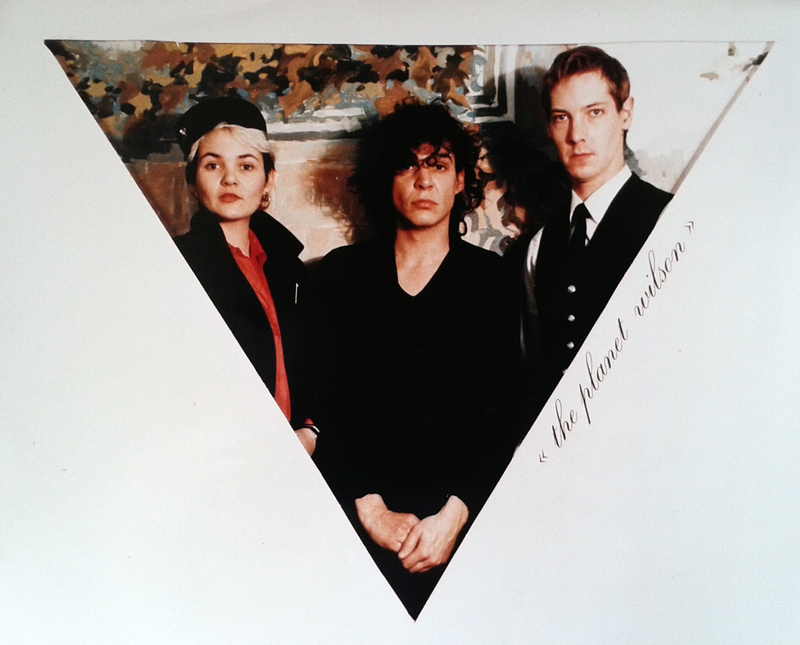 In 1989 their second album ‘Not Drowning but Waving’ was released on Records of Achievement. 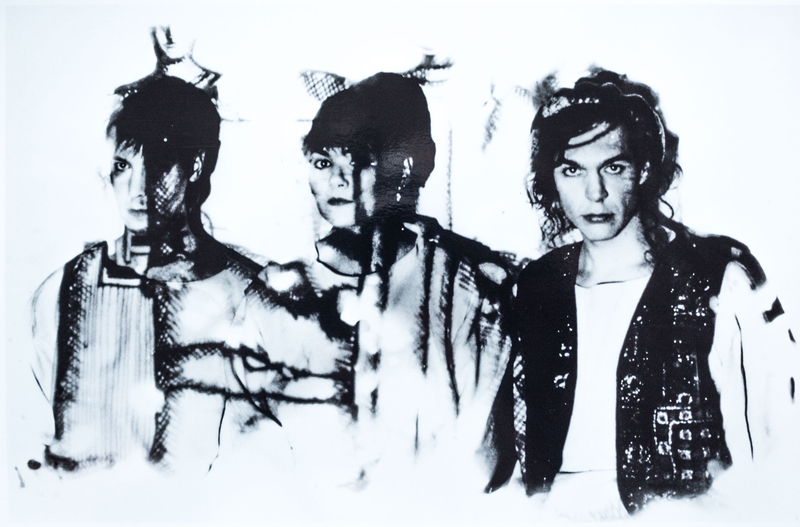 Singles White Lies, Fly by Night, Taken for a Ride and Mouth to Mouth featured both 7″ and 12″ vinyl extended mixes. The Planet Wilson’s back catalogue is digitally re-released on the DHM Record Label, catalogue numbers Not Drowning But Waving DHM013 and In The Best Of All Possible Worlds DHM014. Distributed by Label Worx. Available from Bandcamp and all the usual digital outlets including iTunes, Spotify, Google Play, Deezer, Shazam and Amazon. The re- releases feature vinyl rips by Pete Jordan remastered by Hallam Lewis in Cape Town in 2018. Images for download. Click on a photo to open hi res image in new tab, and right click to save. Scroll down for further press information. 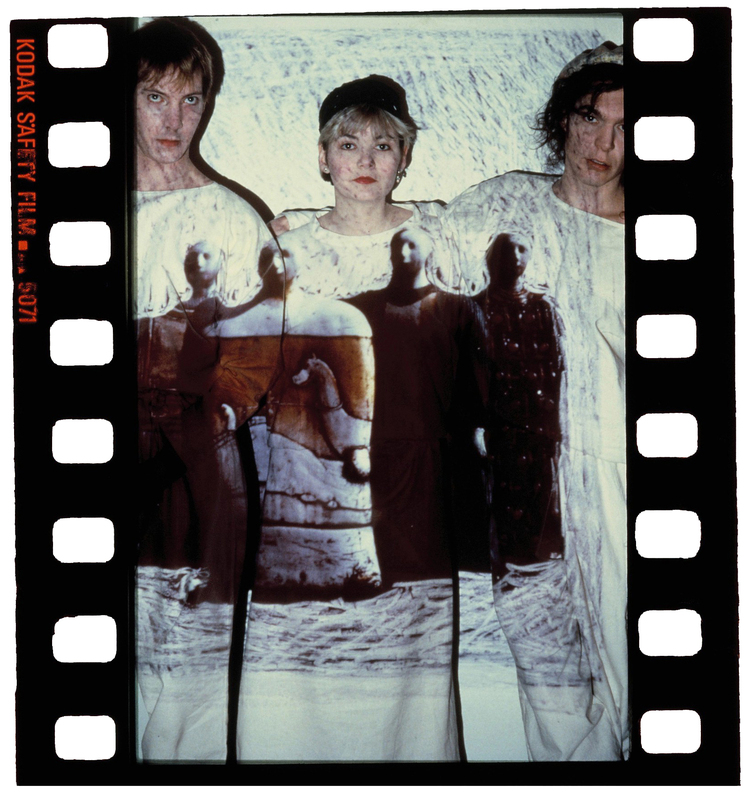 The Planet Wilson formed in 1985 when the collapsing cloud of two former Red Guitars, Hallam Lewis (guitar & vocals) and Lou Duffy-Howard (bass) mutated into a spinning disc which collided with otherworldly drummer Grant Ardis. Active between 1985 and 1989 and with two acclaimed albums and three lauded singles under their collective belt The Planet Wilson’s intelligent Psycho Afrodelic sound was praised by experts across the known universe. Keep your telescopes at the ready, The Planet Wilson have been lurking in the shadowy side of the galaxy for long enough and are planning imminent re-releases with digital distribution throughout the planet Earth. Currently former members of The Planet Wilson and Red Guitars, Hallam Lewis can be found playing his guitar with The Bootleggers in Cape Town and Lou Duffy-Howard is purveying psychedelic sounds in the Loudhailer Electric Company in Hull UK (Loudhailer.net). Not Drowning But Waving including singles Fly By Night and Taken For A Ride – DHM013.